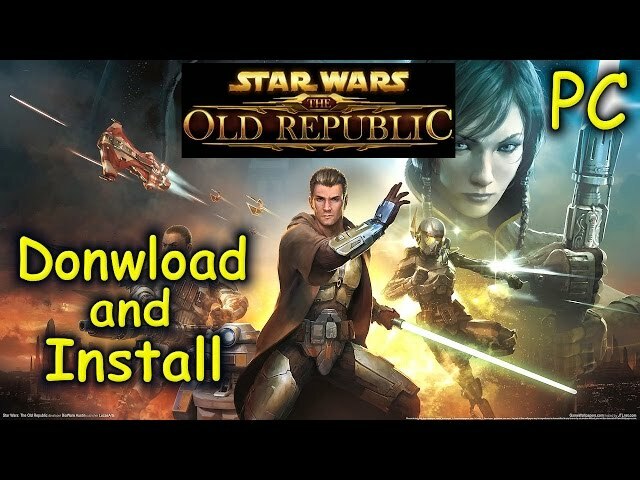 Star Wars: The Old Republic is a massively multiplayer online role-playing game (MMORPG) based in the Star Wars universe, developed by BioWare and with a free to play option. Star Wars: The Old Republic puts you at the center of your own story-driven Star Wars saga. Play as a Jedi, a Sith, a Bounty Hunter or as one of many other Star Wars iconic roles and explore an age over three-thousand years before the classic films. Become the hero of your own Star Wars adventure as you choose your path down the Light or Dark side of the Force. Play the complete story-driven adventure up to Level 50 for free with some restrictions or enjoy unlimited game access as a Subscriber including a Rewards Program which will grant Complimentary Cartel Coins, a new virtual currency used to purchase valuable items in the Cartel Market. Meaningful choices throughout your journey will determine your path down the light or dark side of the Force™. Build or break meaningful relationships with your companions as they join in your journeys and fight at your side. Fight against reactive enemies in dynamic Lightsaber duels, cantina shootouts, and large-scale multi-player battles. Earn your own ship which is your base of operations as you explore the galaxy and participate in epic space combat. Join your friends in fast-paced combat encounters including player-vs.-player Warzones, multi-player Flashpoints and Operations, and much more.